A whopping 80 percent of lawyers say pro bono service is important. And they’re not just saying it, they’re doing it. The average lawyer spends close to 37 hours a year in pro bono activities, according to the latest national figures, with older attorneys volunteering more of their time than younger ones. Those are some of the findings from a new ABA survey that tracked the pro bono efforts of 47,000 attorneys in 24 states. The study, “Supporting Justice: A Report on the Pro Bono Work of America’s Lawyers,” which you can read here, is the first of its kind since 2013. 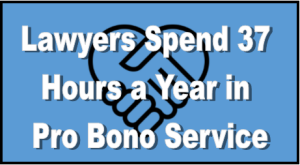 In the survey, lawyers reported providing an average of 36.9 hours of pro bono service in 2016. Twenty percent provided 50 hours or more. The biggest impediments? Lack of time and family commitments. Private practitioners had higher pro bono averages than corporate and government lawyers. Lawyers in firms of more than 300 lawyers did the most pro bono work, followed by firms of 101-300 lawyers and solo practitioners. 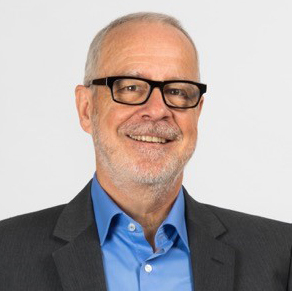 Lawyers aged 70 to 74 provided the most hours of pro bono service, followed by lawyers who were 75 to 79. The states with the highest pro bono attorney averages were Washington, Tennessee and Wyoming. “Every lawyer has a professional responsibility to provide legal services to those unable to pay. A lawyer should aspire to render at least (50) hours of pro bono publico legal services per year. (b) provide any additional services through: (1) the delivery of legal services described in paragraph (a) at a substantially reduced fee; or (2) participation in activities for improving the law, the legal system or the legal profession.